Our Dutch Breed, which is almost extinct in the long and rough hair variety, is still strong in the shorthair variety. The Dutch Shepherd is a unique and rare breed that almost disappeared from the map. It came back to life 5 years ago by combining passion, perseverance and the will to achieve the goal, which was to put the Dutch Shepherd on the map as a full working dog that rivals the Malinois and the German Shepherd. In 2018 the World Championship for IPO and the World Cups for Mondioring, IPO R, Agility and Obedience for Dutch Shepherds will take place, in the county of Noordenveld at the Korfbalvereniging Noordenveld Sports venue in the City of Roden. The best of the best of this working breed will meet here and show their skills. The German Shepherd and Malinois are the most recognizable breeds of working dogs. But, thanks to this event, which is in its 5th year, our Dutch Shepherds are now making their mark as a healthy sport dog with strong and versatile character. In 2014 there were 23 participants. Now, in only 4 years, we have grown to 130 Dutch Shepherd teams who come from all over the World to compete. So come to Roden and join this grand family reunion. 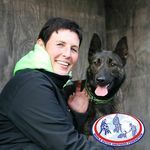 The spectator entry is free and you will enjoy social, well behaved and obedient Dutch Shepherds that not only let our breed shine, but are great ambassador of the Dutch Shepherd in the dog world.